Many mornings, I’m busy getting the kids ready for school, giving them breakfast and making sure lunches are ready. Often I don’t get time to eat a proper breakfast until much later. Sometimes even the kids will just eat cereal. So on the evenings that I have time, I like to make some breakfasts ahead of time. Lately, one of our favourites is the Chia Banana Breakfast Pudding that actually tastes like dessert. It’s simple, tastes delicious and bonus, the kids will probably like it, mine do! 1. 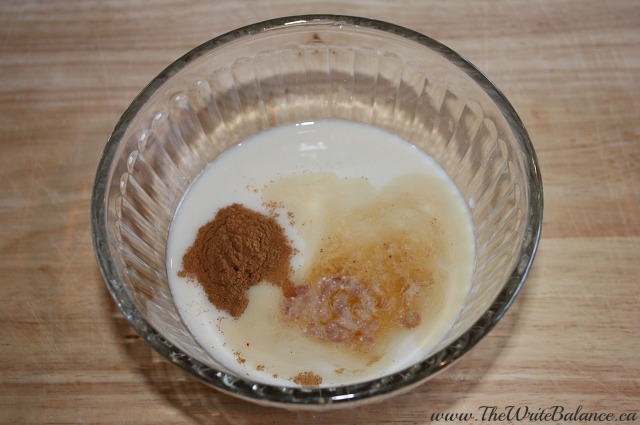 In a bowl, combine the vanilla almond milk, maple syrup, cinnamon & vanilla with a whisk. Mix it well. 2. Add the chia seeds and whisk for about 30-45 seconds. 3. Let the mixture sit for a minute then whisk for another 30-45 seconds. 4. If you’re making this the night before, cover and refrigerate until breakfast. If you’re making it in the morning, let it sit in the refrigerator for at least 30 minutes. 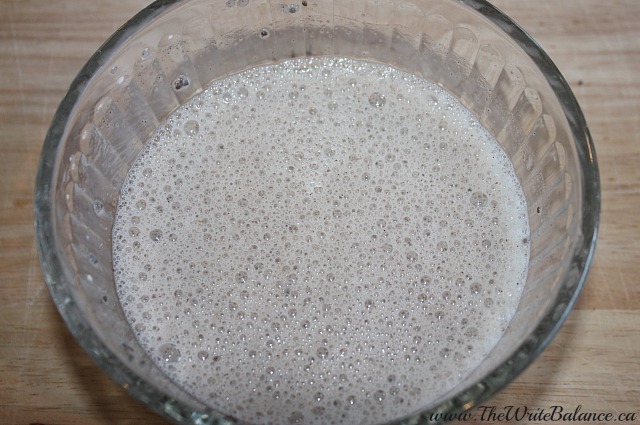 **Update – You can also put all the ingredients in a mason jar (with a good lid) and just shake to bypass the whisking. It stores well in a mason jar as well. 5. When you are ready to eat, take it out of the fridge, mix with a spoon. Then slice bananas on top and enjoy. 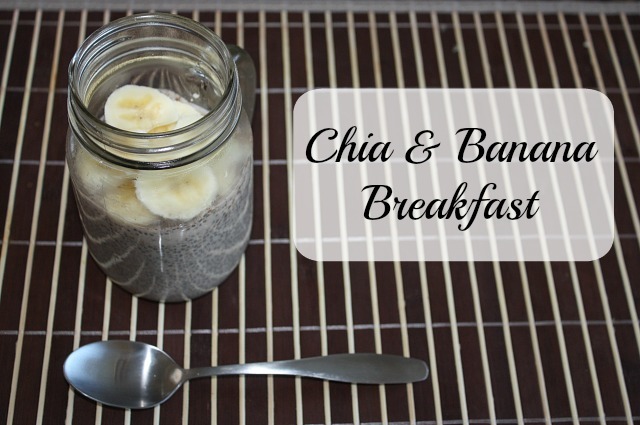 This simple chia banana breakfast pudding is healthy and delicious. It’s even perfect for those who eat a gluten and dairy-free diet. And once you try it, you’re going to love it, especially because it tastes like you’re eating dessert for breakfast! If you’re a chocolate lover, then you’ll also want to try this Chocolate Chia Pudding. It’s my son’s favourite and great when you’re craving chocolate for dessert. That looks yummy. I’ve yet to discover liking chia. I’ve tried it a couple of times as a cereal, but haven’t really enjoyed it. I’m not one to be discouraged easily 😉 I know it’s super healthy, so I’m gonna try your recipe and see how it is. It’ll have a different texture once you’ve soaked it overnight Jennifer so hopefully that helps! I can no longer eat bananas, but I love almond milk. The texture and taste of this breakfast would indeed seem like dessert. Nice gluten free recipe. You could definitely do this with another fruit that you love, like strawberries, blueberries or even mangos! They are a healthy addition. Ooo, this looks yummy. I’ve never tried chia seeds–not really sure where to get them from–but it looks like something to try. Thanks for sharing. Look yummy! Can you make it with something besides almond milk and sugar/syrup? I’m allergic to almonds, and am trying to cut back on added sugar. Maybe add some more bananas? I’ve never tried chia. This sounds good though. I love the sounds of maple syrup in it. Thanks! Love chia and usually just put into my smoothies. Need to try this! Yum! I had some chia seeds laying around as well as all of the other ingredients so I whipped it up! It’s in the fridge now so I’ll let you know how it turns out. And the tip of just shaking it in the mason jar instead of whisking = awesome 👍🏻! How did it turn out Shannon? !